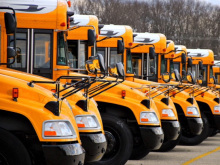 MacAllister Transportation offers high-quality Blue Bird school buses and used buses of all types. High-quality used school buses to suit every need and budget. Extensive parts inventories and skilled technicians keep your fleet running. MacAllister Transportation has locations throughout Indiana to serve you.